IRS tax problems don’t disappear. Rather than letting your personal or business-related tax issues worsen, talk to the experienced, knowledgeable team at our boutique tax representation firm. Whatever the nature of your tax problem: IRS tax levy, wage garnishment, 941 payroll issue, back taxes, unfiled returns, IRS audit or any other tax matter in Philadelphia, we have the special skills and know-how to help you. 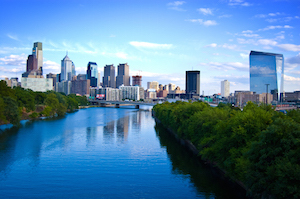 The fifth-largest city in the country, Philadelphia is also the largest metropolis in Pennsylvania. Steeped in history thanks to its role as a headquarters for the American Revolution, Philadelphia was the temporary capital of the United States. A known restaurant city featuring a wide variety of attractions, Philadelphia is the home of Independence Hall, the Liberty Bell, and many other historical buildings and landmarks. It features Fairmount Park, the largest landscaped urban park on the planet, as well as much in regards to the performing and visual arts. Determining qualification for IRS tax help is often a challenging process, and one made significantly easier with professional assistance. Whether you qualify as an innocent spouse, require payment plan arrangement, or settling your tax debt for less than you owe, or have another tax issue to work out, rely on the our tax representation firm led by Mike Habib. Call 1-877-78-TAXES [1-877-788-2937] for more information. Don’t let the stress of tax problems interfere with your present and future. The longer you wait, the more interest, fines, and penalties accrue. Deal with the problem proactively by working with the knowledgeable team at Mike Habib Tax Representation firm and breathe a huge sigh of relief. For more on IRS tax help in Philadelphia, please contact 1-877-78-TAXES [1-877-788-2937] today. 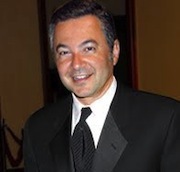 The tax firm of Mike Habib serves individual and business taxpayers in great Philadelphia area, Camden, Wilmington, Pittsburgh, Allentown, Bethlehem, Easton, Scranton, Wilkes, Barre, Harrisburg, Carlisle, Lancaster, York, Hanover, Reading, Erie, Johnstown, State College, Altoona, Sharon, Williamsport, Philadelphia County, Berks County, Bucks County, Chester County, Delaware County, Montgomery County.